Josie has a lot of trouble keeping her balance, she has severe spinal degeneration affecting all four of her legs at this point. She drags her feet, stumbles, and trips very easily. We have hardwood floors, and through routine grooming I have been able to prevent her from slipping as she stumbles around the house. Hairy toes are slippery toes. 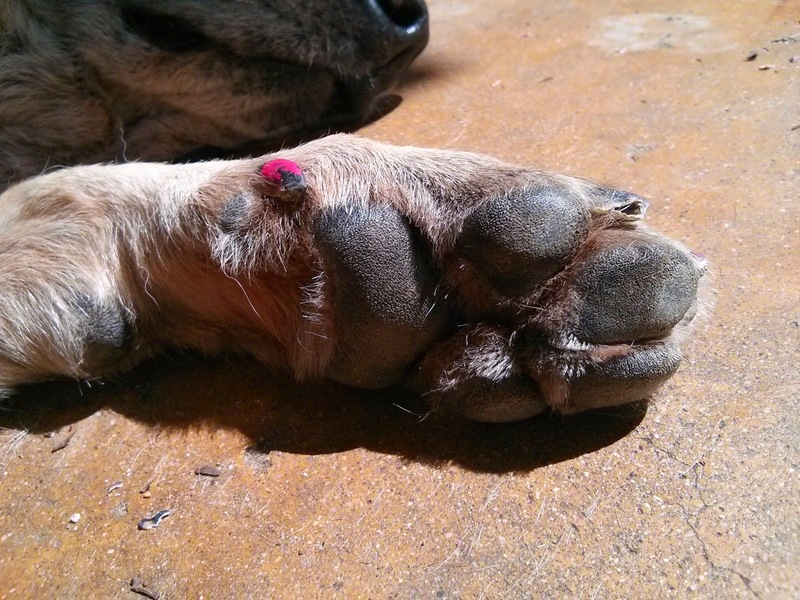 Long toenails can change the way a dog carries their weight. The more surface area they have contacting the floor, the more traction they have. Paw pads have much better grip on slick surfaces than toenails, but if the nails touch the ground they take some of the weight off the pad. If the nails are touching the floor when the dog is standing, they are too long. When I hear Josie's nails clicking on the hardwood, I know it's time for a trim. Josie is extremely cooperative for nail trims, but Brisbane is not. I often must enlist the help of a professional groomer, or even my veterinarian, to get his nails cut. Less toe fur, more grip! 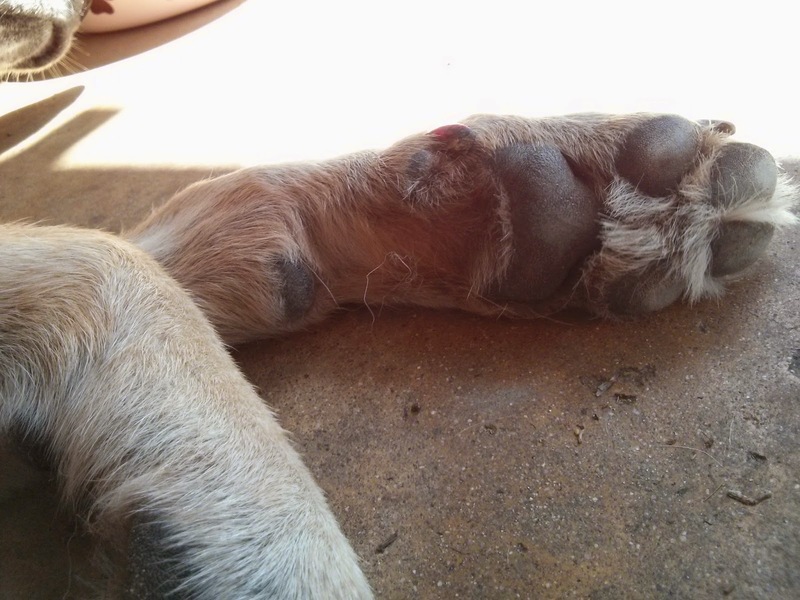 The top picture shows one of Josie's feet before trimming. There is a lot of fur growing out from between her toes. Ideally this would provide her some protection for the delicate skin between her toes, but at her age it's mostly just getting in the way. Every week or two, I take a very sharp pair of hair scissors and carefully trim as much fur as I can from between Josie's toes. This helps keep her grippy paw pads in contact with the floor. The toe floof is cute, but she slips on it. These measures have been enough to keep Josie cruising comfortably on my hardwood floors. If I felt she needed any more grip, I might try getting the waterproof socks to stay on better, or I might get Josie some dog boots that actually fit.